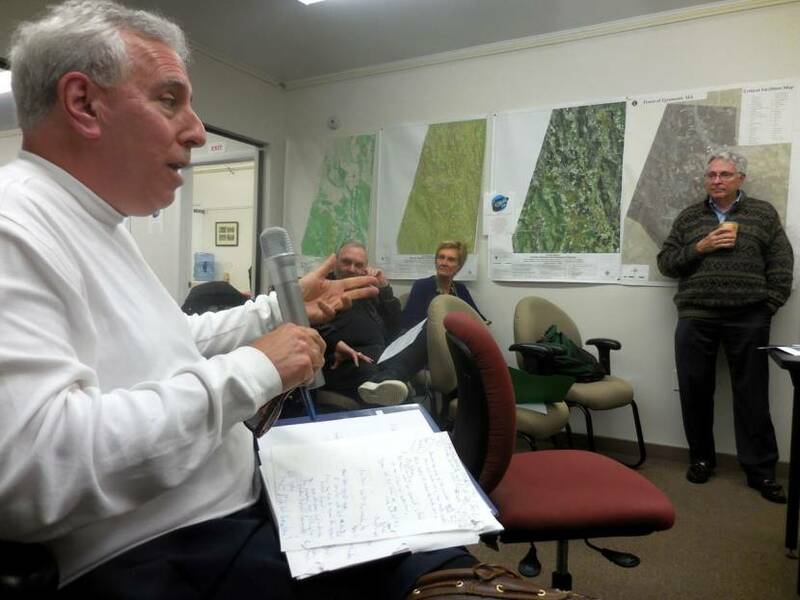 Blunt Road resident Lanny Fields has plenty of questions for Massachusetts Broadband Institute head Peter Larkin about the town's contract with Charter during meeting Oct. 15 at Egremont Town Hall. Egremont — It takes courage for a small town to stand up to the state and to a giant corporation, but that’s precisely what happened last night as the board of selectmen voted to opt out of a pact with Charter-Spectrum that would have seen the town fork over about $600,000 more than was agreed upon to install a fiber optic communications network for town residents. 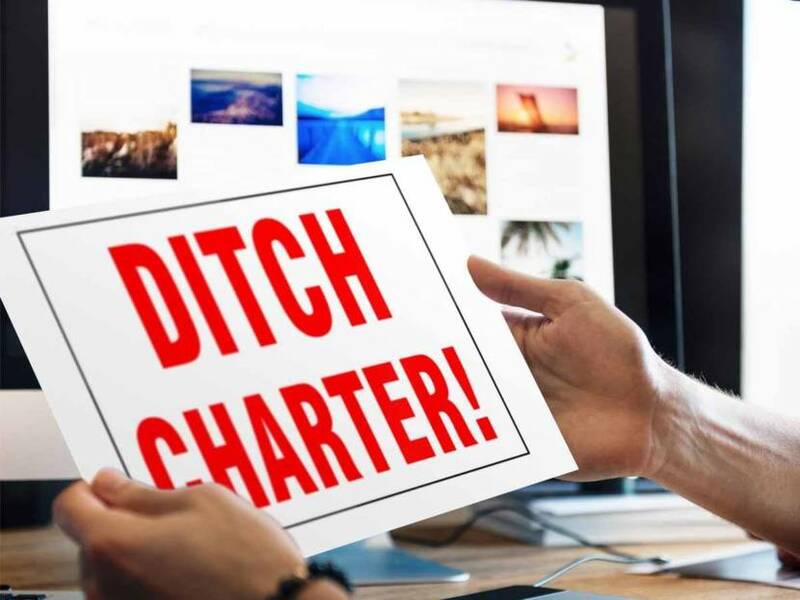 Earlier this month, Peter Larkin, a former state representative from Pittsfield who now heads the Massachusetts Broadband Institute, sent an email to the board announcing a radical change in the agreement with Charter to wire almost all of the town with broadband and cable TV. Click here to view the email, which was posted by Egremont resident Liz Marino on Facebook. 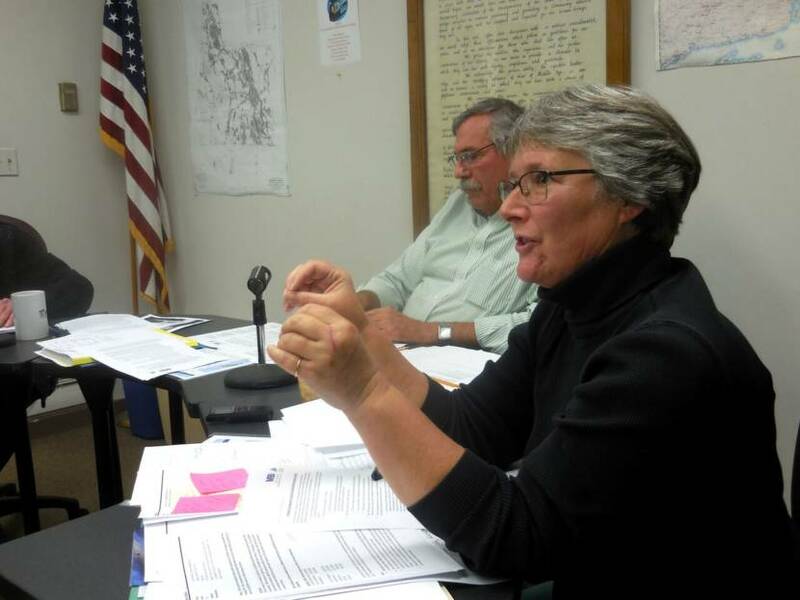 The long and the short of it is that Charter had originally proposed to wire 96 percent of the town (or 883 of 920 households) for a little more than $1.1 million, almost all of which was to be covered by an MBI “last-mile” grant. In an unusual business strategy, only after signing the contract did Charter perform due diligence. According to Larkin, Charter said it had discovered that approximately 150 utility poles would have to be replaced, dramatically increasing what are known in the business as “make-ready” costs. The poles, it turns out, are not tall enough to add another utility line — presumably because Fiber Connect of the Berkshires has already strung fiber optic cables just above the telephone lines, where cable TV lines are usually strung. Fiber Connect has already wired large portions of both Egremont and Monterey at its own expense. So Charter has informed MBI that it will require an additional $1.1 million, creating a funding gap of $1.2 million. Larkin said MBI is willing to split the difference with the town but, if it wanted to go forward with Charter, Egremont would have to come up with more than $600,000. 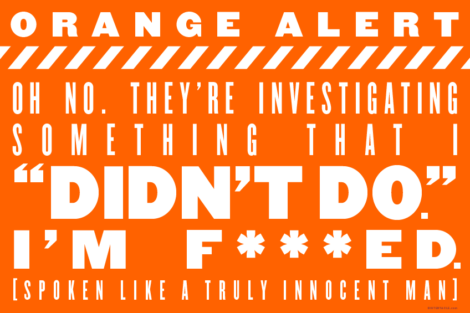 Though Cohen’s was one of the loudest voices, he was hardly alone in signaling his anger. 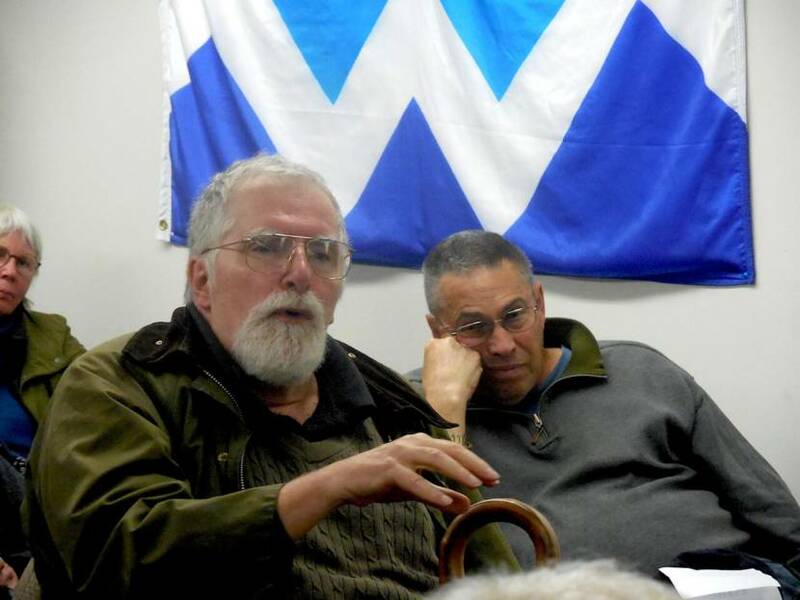 The expression of the indignation of others had to be deferred because Larkin spent at least 20 minutes recounting the history of MBI and its granting process for its last-mile program that funds the extension of broadband beyond middle-mile locations such as schools, town halls and libraries. 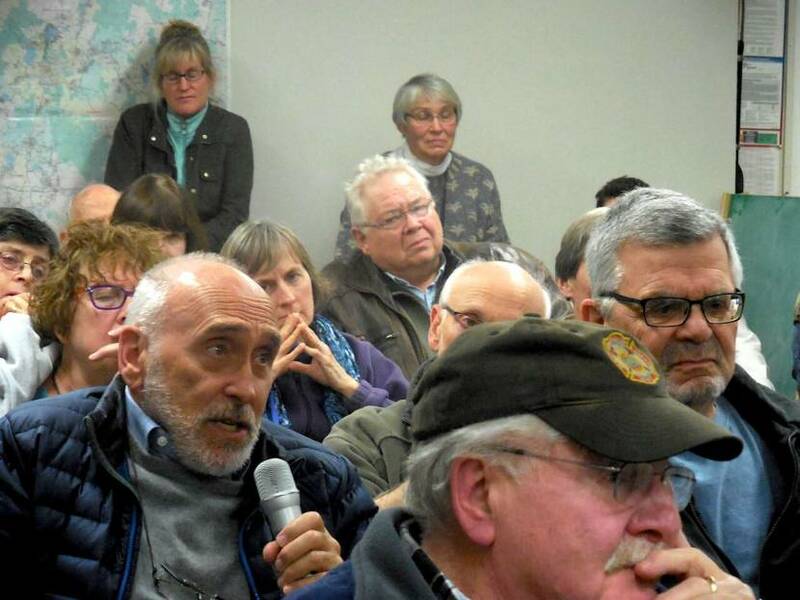 Several of the 60 or so residents who crowded into Town Hall and the hallway posed questions — sometimes sharply worded — to the embattled Larkin, who had given out charts and maps to the audience showing what the MBI has accomplished in funding broadband projects for 58 Massachusetts communities since its creation in 2008. MBI had $50 million in state funds available for its last-mile grant program. Larkin emphasized the positive, noting that some towns, such as Mount Washington and Leverett, have decided to build their own networks through the creation of what is, in effect, a municipal utility. Several residents wanted to know why MBI did not provide funding for Fiber Connect. Larkin was quick to throw cold water on that idea, noting that Fiber Connect is a start-up, has “little track record” and that it refused to post a performance bond. Still, those residents all said they liked the service. One said there is “tremendous support” for the company in town. Larkin explained that cable companies are often favored over smaller fiber companies because of their sustainability. If, for example, MBI gave a multimillion-dollar grant to a start-up that later went bankrupt, there would surely be hell to pay. “Basically, we were begging for [cable companies] to come into some of these communities because we had no other solutions,” Larkin said in a moment of obvious candor. But the star of the night was Bill Solomon, an attorney who has been working with the selectmen and the town’s technology committee, which recommended going with Charter but largely because of its range of services and the fact that it would not charge the town anything to wire it. “No town in the commonwealth would sign an agreement with a cable operator that the cable company afterward could unilaterally withdraw from that agreement or make it such that it couldn’t proceed,” said Solomon, the former town counsel for Stoneham. Larkin countered that the agreement could not be enforced without a cable franchise agreement with the town. 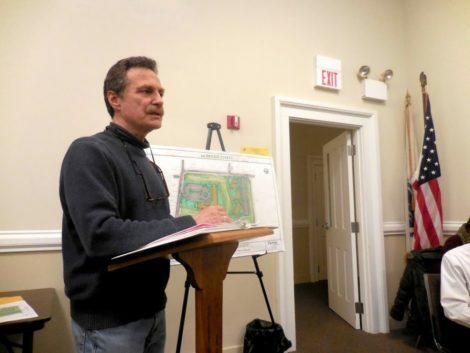 Selectman Mary Brazie told the audience members who wanted the town to “Ditch Charter,” as the lawn signs that have sprouted up over Egremont urge, then they will have to be patient because the town cannot simply give its MBI grant to another company without going through an extensive procurement process and subsequent review by MBI. “Let them draft the proposal, get it out and review it in the best interests of the residents of town of Egremont,” Brazie said to much applause. 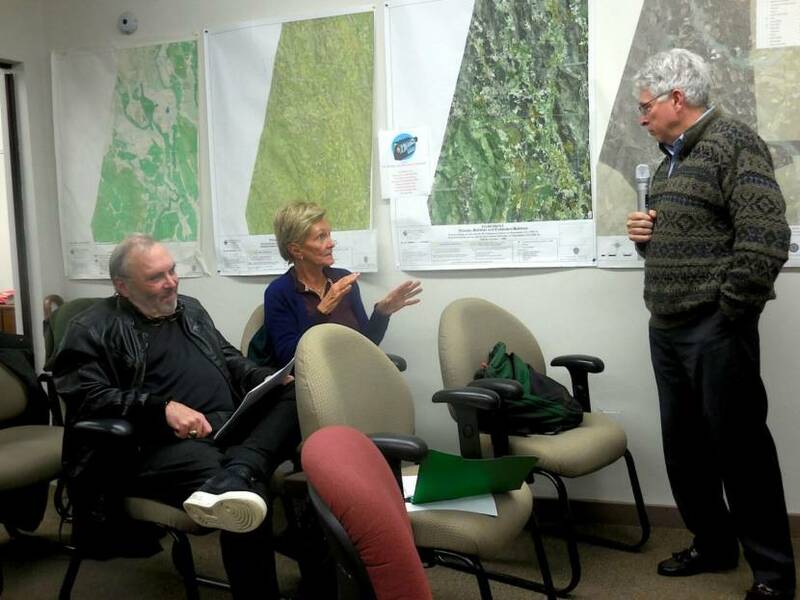 Selectman George McGurn recused himself from voting on the matter and, at Brazie’s urging, resigned from the technology committee because Fiber Connect is a client of his wife, Mary, who is a communications and marketing consultant. Bruce Turner, who chairs the board, joined Brazie in voting for the motion. After the meeting there was open speculation in the hallway that, in seeking an additional $1.2 million, Charter was deliberately trying to find a way to back out of its contract, because the company knew it would have a low take rate since Fiber Connect has already wired much of the town with gigabit internet speeds. 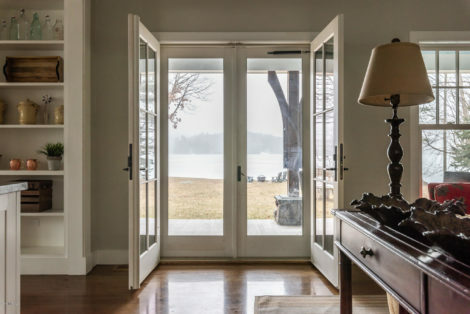 Larkin was in the Berkshires in April. He toured several towns, including Monterey and Egremont, with Lt. Gov. Karyn Polito. In both towns, they faced many of the same questions Larkin fielded last night. His personal appearance in Egremont on Monday appeared to underscore the gravity of the situation. Before Larkin spoke, Marino presented to the selectmen a petition signed by 150 Egremont voters calling for a warrant item to be included on an upcoming special town meeting agenda to end negotiations with Charter for a cable franchise agreement. There is no simple answer to extending the MBI “Middle Mile” to be a “Last Mile”. The State did a good thing when they funded MassBroadband123, which connected Western MA town Community Anchor Institutions (CAIs) with fiber, but the tasks associated with small towns building out their own networks are formidable. Just the pole attachment licensing process with the power and telephone utilities is unbelievably time consuming and expensive. The networks need to be designed, put out for bids, materials need to be procured, delivered to the site, stored and managed. A hub needs to be located and provided with robust and reliable electronics and backup power. Contractors need permission to run drops to homes. Internet Service Providers and Network Operators need to manage subscriptions, billing, and “backhaul”. Homeowners with existing underground conduits need to be aware that those conduits may not be free to pull in a new fiber. Many older homes have direct buried telephone which requires a new underground duct. All of this gets amazingly complicated and costs more money than the State can afford to fully subsidize. Companies like Spectrum need a return on investment that just isn’t possible in sparsely populated communities. Egremont’s initial decision to go with Spectrum at no cost to the town certainly made sense at the time but if something feels too good to be true, it probably is. The Last Mile is an investment that requires time, talent, treasure and patience. It isn’t simple but it is well worth it. Mary Brazie has it right. You’ve got it right too, Jim. It actually wasn’t impossible to do all of that. It was however an exercise in self reliance and finding the right partners. Egremont seems to have found a good partner in Fiber Connect, and I wish you success! Green with envy in New Marlborough! !